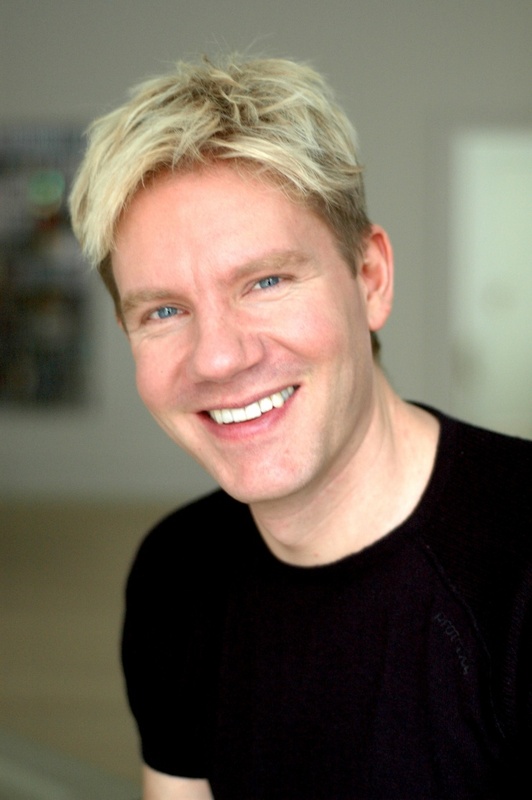 Skeptical Environmentalist Bjorn Lomborg, says shallow, apocalyptic reporting on global warming has made us all panicky, whereas the truth is comparatively boring. In related news: the Sierra Club takes aim at BC’s hidden carbon emissions; habitat decline threatens BC trappers; and concerns over logging make the news in 100 Mile House; Northern California, Poland, Ireland and Madagascar (the rosewood trade). In Business news: Tolko prepares to recall workers as Williams Lake rebuild nears completion; Northern Pulp and fishermen reach testing agreement in Nova Scotia; Newfoundland has a new forestry plan; and Paper Excellence welcomes BC’s coastal revitalization strategy. The final straw: Ben & Jerry’s announces plan to eliminate single-use plastic straws and spoons. 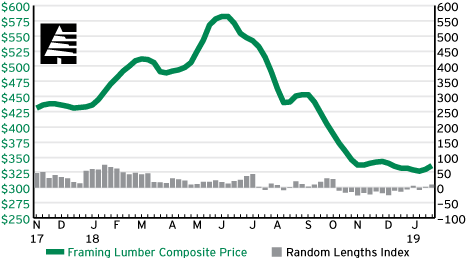 Lumber: Wintry weather held back trading in some markets, but sellers of framing lumber turned in their strongest week of the new year. All species, including green Douglas Fir, were more active, as buyers covered immediate, if not late winter and early spring, needs. Not all sectors were hitting on all cylinders amid the winter season, but demand helped fortify mill order files, pushing shipments well into February. …Panel: A perception of tightening supplies underpinned structural panel prices amid lukewarm demand. A firmer tone emerged in most OSB markets, as unconfirmed reports circulated that two producers were slowing output of commodity sheathing. In Southern Pine plywood markets, concerns about supply and upward momentum in other wood products spurred a steadier pace. Western Fir plywood trading was steady, but quieter than in recent weeks. Vancouver, B.C. – The BC Council of Forest Industries (COFI) is pleased to announce that it will be welcoming Canada’s Ambassador to the United States, David MacNaughton, to speak at its annual convention. This year’s event, one of the largest annual gatherings of the forest sector in Canada, will take place from April 3-5, 2019 in Vancouver. “With negotiations completed on the United States-Mexico-Canada Agreement, and the ongoing softwood lumber trade dispute, Ambassador MacNaughton will share valuable perspectives on Canada-U.S. relations from his vantage point in Washington, D.C.,” said Susan Yurkovich, President and CEO of COFI. “The Ambassador has been a key supporter of the B.C. forest sector on the softwood lumber dispute, and we look forward to hearing his insights at our convention.” David MacNaughton has served as Canada’s Ambassador since March 2016 and works in close partnership with all levels of government to represent Canadian interests in Washington. An Alberta government trade mission to China is unlikely to proceed in March as planned, says provincial Economic Development and Trade Minister Deron Bilous. Bilous says he is not prepared to lead the trade delegation to China amid unresolved tensions between Canada and China, in the wake of the detention in Vancouver last month of a high-profile Chinese telecommunications executive. … The frosty relationship between Canada and China comes at a crucial time, said Paul Whittaker, president and CEO of Alberta Forest Products Association. With 24 per cent tariffs on Canadian softwood lumber going into the United States for almost two years, there has been a “pivot” to the Chinese market over the last six months, Whittaker said. …Without the Chinese market — now worth about half a billion dollars annually — Alberta forest producers would be in the same situation as the energy industry, with the United States as the only major client, he said. A Nova Scotia First Nation is taking a pointedly direct approach to ensuring that a highly polluted waste water treatment facility on its land is shut down. Under legislation passed in 2015, the provincial government has committed to closing the Boat Harbour facility by Jan. 31, 2020 – one year from this week – and the Pictou Landing First Nation plans to mark the beginning of an official countdown on Thursday. The First Nation, which is near Pictou, N.S., has organized a “One Year Countdown” event, which is expected to include traditional drumming, dancing, prayers, smudge ceremony and speeches. The waste water is mainly treated effluent from the Northern Pulp mill, where a proposed plan would see more than 62 million litres per day pumped directly into the Northumberland Strait once Boat Harbour is closed. With Newfoundland and Labrador’s forestry industry on the rebound in many ways and the province set on building more momentum, Robin Philpott is proud to be one of the driving forces. Philpott represents the fourth generation of his family to be involved in their business, Cottles Island Lumber Company Limited in Summerford. 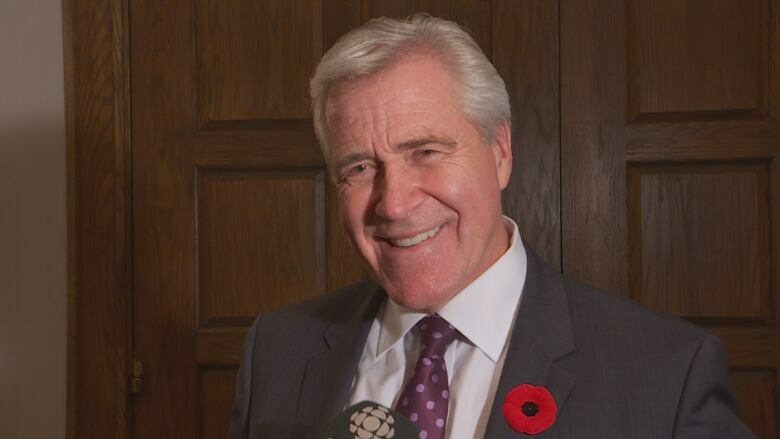 He was in Corner Brook to participate in a forestry sector summit Monday morning. During the event, the provincial government outlines its plans to strengthen and diversify the forestry sector. It was noted that, while the province’s sawmill industry dropped from producing a high of 120 million board feet of lumber down to 66 million, it managed to get back to around 92 million in 2018. …Philpott said the difference with them is they are not seeking higher volumes of wood, but new ways to use every last bit of the resources they already have. WASHINGTON – The American Forest & Paper Association (AF&PA) has selected Lindsay Murphy as its Executive Director, Strategic Communications. Murphy will be responsible for leading the development and execution of AF&PA’s communications strategy in support of the association’s policy objectives. “Lindsay has extensive communications experience from agencies and trade associations across multiple industries, and we’re excited to have her on board,” said AF&PA President and CEO Donna Harman. “Her background creating and executing complex strategic communications plans and public policy issue campaigns makes her a great addition to the AF&PA team.” Murphy brings with her more than 15 years of strategic communications experience. 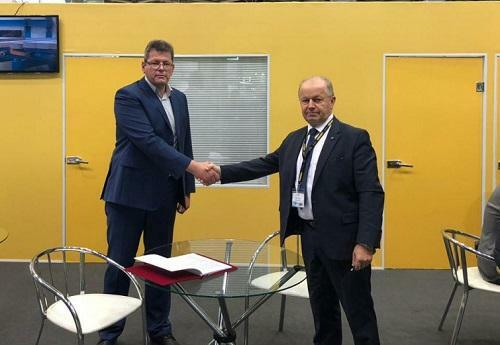 Ledinek will supply two finger jointing machines to Segezha Group’s Sokol CLT in Vologda, Russia. The line which will be supplied by Ledinek includes two finger jointing machines: Kontizink with the feed speed of 120 m/min for production of vertical joints and Eurozink with the capacity of 12 cycles per minute for the production of horizontal joints. The finger jointing line is completed by a multi-level storage and a floor storage which provide capacity of 12 chargings of the laminated timber press, as the company says in the press release received by Lesprom Network. Both, the two finger jointing machines and the two storages are interconnected with an automatic transport system for manipulation of the product. This reduces the personnel requirements to up to three operators and ensures the production capacity up to 25 m3 per hour. Wood from British Columbia forests offers immense versatility, beauty and superior structural strength. British Columbia’s forest products attract investors and buyers from around the world, drawn by high-quality wood products, leading-edge innovation, a diverse forest resource with 55 million hectares of forested land, and an advantageous shipping location. Our forests supply top-quality products worldwide, including pulp, wood pellets, biofuels, lumber and value-added wood products. Our industry specialists have well-recognized expertise ranging from green building design and construction to forests and wood sector management. 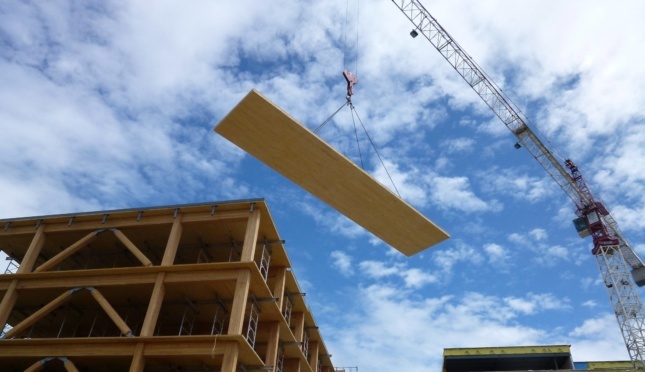 …British Columbia companies manufacture a wide variety of wood products that meet any structural or finishing need. Wood from British Columbia forests offers immense versatility, beauty and superior structural strength. Builders use it as a structural material in many types of construction, from single-family homes to multi-storey condominiums and offices, schools, health facilities, recreational centers and public areas. Companies also produce high-quality paper products, as well as biomass and wood pellets for bioenergy needs. OTTAWA – A new report by the Canada Green Building Council (CaGBC) provides an action plan to close the low-carbon building skills gap in the Ontario construction industry. With buildings accounting for 30% of all greenhouse gas emissions, addressing the current gap in low-carbon building skills is critically important if Canada is to reduce its emissions by 30% below 2005 levels by 2030. In Ontario, the most populous province, the impact of the skills gap is estimated at $24.3 billion of Gross Domestic Product (GDP) in foregone company revenues, with an additional $3.7 billion lost in foregone taxation. Entitled “Trading Up: Equipping Ontario Trades with the Skills of the Future,” the report puts forward recommendations for new types of training, incentives and construction processes that will help the trades workforce support the construction and mass retrofit of buildings that lower greenhouse gas emissions. BURLINGTON, Vt. — Ben & Jerry’s is moving away from single-use plastic. As a first step, the company will no longer offer plastic straws and spoons in any of its more than 600 Scoop Shops worldwide in early 2019. The company also announced a plan to address plastic cups and lids used to serve ice cream by the end of 2020. …”Single-use plastics are a pollution threat unlike anything we’ve seen before,” said Paul Burns, executive director of the Vermont Public Interest Research Group. “…The only solution is to stop using them. 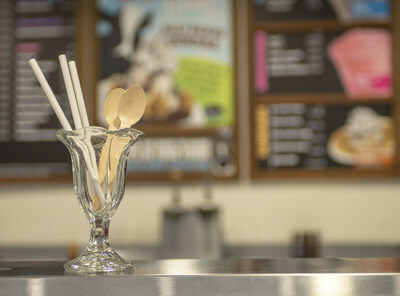 That’s why Ben & Jerry’s plan to move away from single-use plastics is exactly the kind of leadership we need.” …By April 9, 2019—Scoop Shops will complete the transition to wooden spoons. Paper straws will be available by request only. …Pints and “tubs” (Ben & Jerry’s container) have been made with Forest Stewardship Council (FSC) Certified paperboard since 2009. 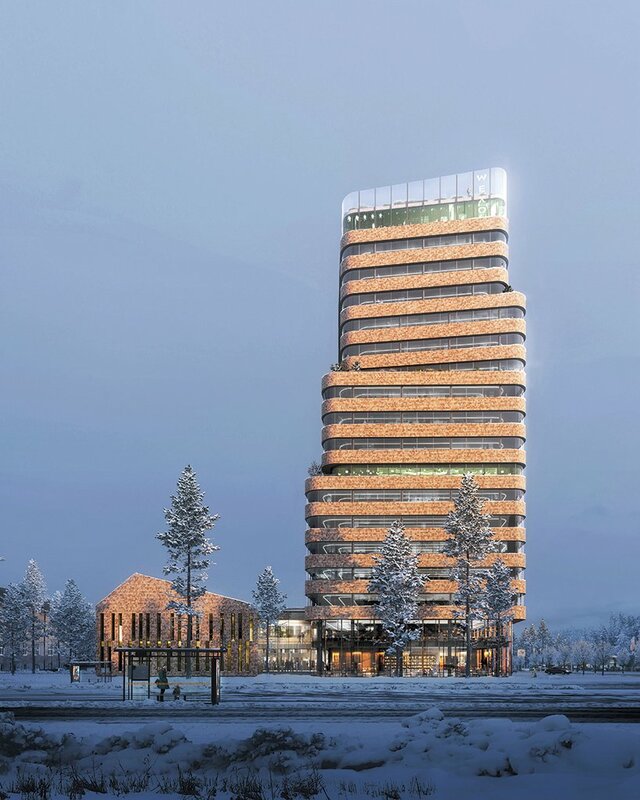 As part of a competition beginning in May 2018, Tengbom has unveiled their proposal for a new tech beacon in Växsjö, Sweden. Commissioned by Växjö city and clients Castellum and Visma, ‘WeXO’ will form a vital component of the city’s growing IT infrastructure and act as a physical lure for attracting businesses and startups to the area. The brief stipulated a design that focuses on the wellbeing of its users, materials and energy usage, and overall sustainability of the building. …The City of Växjö has deep connections with the Swedish timber industry, therefore the architects used natural, sustainable timber resources from the local area to reflect this. Its cedar shingle façade tonally references the brick buildings in the vicinity, while the rounded corners of its tower soften its impression on the skyline. 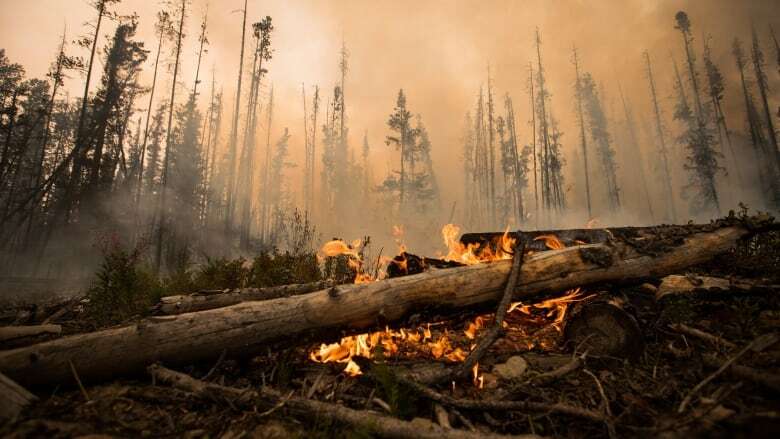 …While the forests of BC have evolved and adapted to experience wildfires as a natural agent of disturbance, it is a shock to established systems. In the wake of [recent] fires, here’s a brief look at how West Fraser is part of renewing the forest landscape. The volume of the forest burnt in the past two summers creates significant challenges for our woods teams who plan our timber harvesting. Where we operate in Canada, nearly all of the forests are owned by the public, and approvals for harvesting must be sought through the government. Our plans begin months and years ahead of time, surveying the land, consulting with stakeholders, developing plans, and applying for the required permits to build roads and approvals to harvest trees. When wildfires occur, our woods teams must re-plan their multi-year harvesting plans, knowing a large amount of the logs they had counted on have been consumed in the fires. B.C.’s trapping industry is facing multiple threats, including falling prices for fur and the general decline of their target species. An increase in devastating forest fires, over-harvesting of timber and aerial spraying of herbicides over newly planted forests are combining to shrink viable forest habitat for fur-bearing creatures, trappers say. Once Canada’s economic engine, the market for fur in Europe and North America has largely succumbed to the grisly messaging of animal rights groups such as People for the Ethical Treatment of Animals. Fur remains popular with increasingly affluent buyers from Russia and in China – the fur industry there is worth $22 billion – but the vagaries of fashion and waning economic growth in those nations have depressed prices for pelts for the past several years. Greenville, SC – The U.S. Endowment for Forestry and Communities (Endowment) announces the completion of its interactive website, State of America’s Forests. This online multimedia guide puts relevant information related to our nation ́s forests in the hands of the public and professionals in intuitive ways never before accessible. Exploratory maps, graphs, charts, and videos will help users to better understand the value and importance of forests as a source of clean water, clean air, human wellbeing, biodiversity, recreation, products, economic development, and many other benefits and services. The website reviews the many challenges that threaten forests existence and health, and undermine the myriad ecosystem services they provide to society, and particularly, to rural, forest rich communities. Destructive wildfires along the California-Oregon border in recent years has the U.S. Forest Service pursuing projects to clear forests of burnt debris and trees that could feed future fires. One of those projects included selling the rights to log old-growth trees in Northern California, until a federal judge halted the timber sale on Friday. Environmental groups asked a federal court to halt the Seaid-Horse timber sale in the Klamath National Forest. …U.S. District Judge Troy Nunley issued a preliminary injunction to temporarily halt the sale, which included 1,200 acres of timber in Siskiyou County. Environmental groups will negotiate terms of the sale with forest service workers, who returned to work on Monday for the first time since the month-long partial government shutdown. 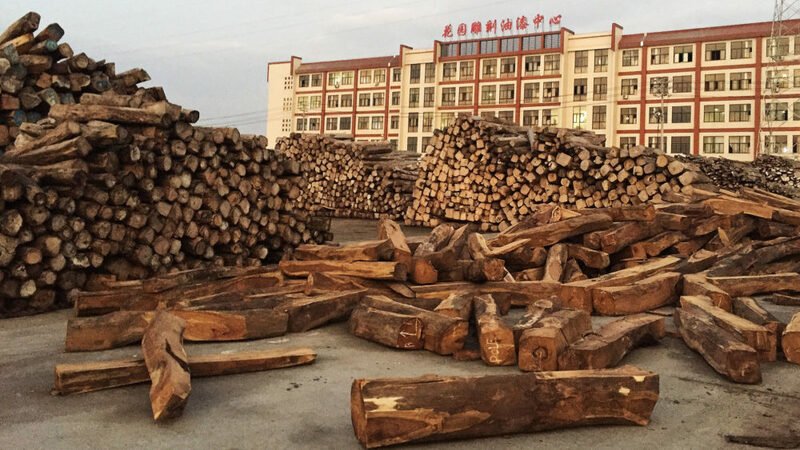 The most widely traded illegal wild product in the world today is rosewood, an endangered hardwood prized for its use in traditional Chinese furniture. An e360 investigation follows the trail of destruction and corruption from the forests of Madagascar to furniture showrooms in China. …Traffickers have to find something to do with the wood while they wait for a ship to come collect it, especially now that various laws and treaties have outlawed the rosewood trade. In Fampotakely, they bury much of the wood in the sand. …And there’s even more rosewood underwater: The inlets and estuaries around Fampotakely are blood red from all the rosewood being stored in them. …Rosewood is the most trafficked form of flora or fauna in the world, measured by value or volume, according to the United Nations. 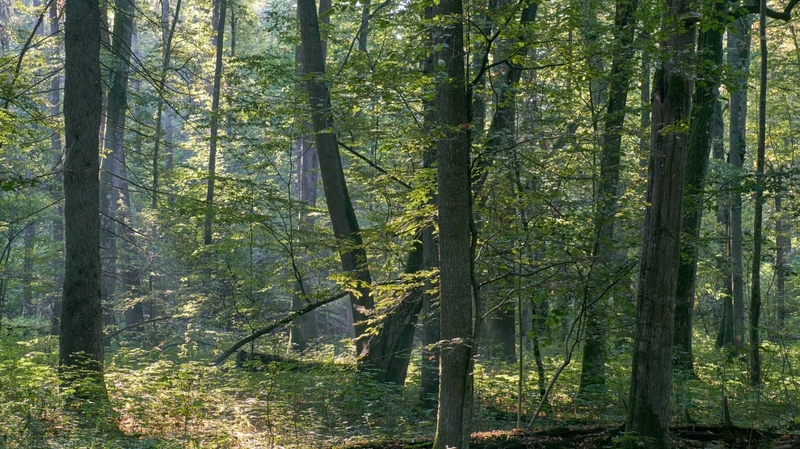 A coalition of environmental groups has criticised moves by the Polish state-owned forestry company to restart commercial logging in the Białowieża Forest in eastern Poland. The coalition, which includes Client Earth, Greenpeace Poland, WWF Poland, Greenmind Foundation and the Wild Poland Foundation – have called for the urgent suspension of the plans, which are aimed at opening up parts of the UNESCO protected forest for further commercial exploitation. Last year, campaigners fought a legal battle culminating in a ruling from the European Union’s highest court that logging in Białowieża, one of Europe’s last remaining primaeval forests, was illegal. …Poland’s state forestry started adding new logging permits to the forest management plans despite UNESCO stating that the issuance of new permist should be suspended. The Tasmanian Government’s attempt to resurrect its failed anti-protest laws are a “face-saving exercise”, former Greens leader Bob Brown says. 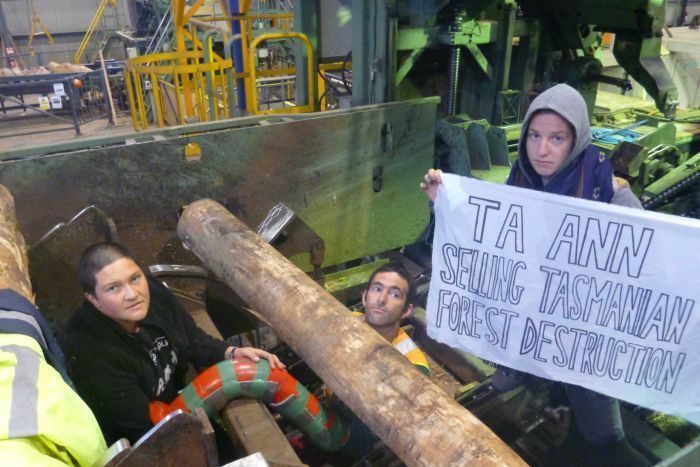 The former senator challenged the laws in the High Court after being arrested in 2016 at a Forestry Tasmania logging site in Lapoinya, in north-west Tasmania. Ultimately, the High Court found the laws — a key 2014 Liberal election promise — were unconstitutional because they breached the right to freedom of political communication. But the Tasmanian Government has released a draft bill to fix that legislation, which would strip all mention of protesters and protesting from the laws to ensure they were consistent with the constitution. The proposed changes would repeal or amend almost every section of the original legislation, and would reframe the purpose of the laws as protection for businesses, rather than targeting protesters. Tasmanian communities south of Hobart remained at threat late Monday from uncontrolled bushfires, with unconfirmed reports of property damage. Emergency warnings were issued for several communities in the Huon Valley, with residents advised to consider leaving their properties for a safer place. The Tasmania Fire Service (TFS) said the fire danger rating reached severe and “exceeded forecast conditions”. …Crews contained a fire at the Southwood wood processing site after embers breached skylights, but there was extensive damage. The TFS deputy operations officer, Phil Smith, told a community meeting at Huonville it would affect employment in the longer term. “We’ve been able to contain the fire but it has damaged some of the machinery, it’s damaged extensively the outside and other parts of Ta Ann [timber mill],” he said. 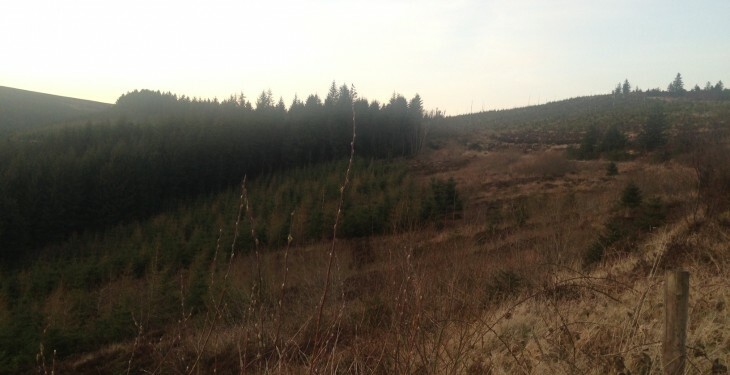 The Save Leitrim group, which opposes forestry planting in the county, is planning a rally outside the Dail on Wednesday, January 30, to voice its concerns over the continued afforestation across Ireland. The group is calling on people from communities across Ireland, who are affected by afforestation policies, to attend the rally, and claims that it will see “several buses travel to the capital on Wednesday” so people can take part. Save Leitrim claims to have the support of the Irish Wildlife Trust, as well as communities across the country, including in Clare, Cork, Kerry and Wicklow, from where people will make the trip up to Dublin for the 11:00am demonstration. …It also argues that this policy of afforestation is having a “very serious negative impact on people, their lives, mental health, businesses, communities, biodiversity and wildlife”. Rep. Alexandria Ocasio-Cortez declared last week that “the world is gonna end in 12 years if we don’t address climate change.” The freshly minted congresswoman skewered anyone who’d want to talk about the cost of global-warming policies, given the looming doomsday. Yes, her full remarks made it clear she only meant that the world would begin to end in 12 years if we don’t act. But she was still wildly wrong. Yet AOC was just saying what many people believe. Shallow, apocalyptic reporting on global warming has made us all panicky, more likely to embrace poor climate policies and less likely to think about the price tag. The truth is comparatively boring: According to the United Nations climate-science panel’s latest major report, if we do absolutely nothing to stop climate change, the impact will be the equivalent to a reduction in our incomes of between 0.2 percent and 2 percent five decades from now. A logging accident killed a Post Falls man Friday in Shoshone County. Joseph W. Johnston, 32, suffered fatal injuries while working on a logging operation for Goicoechea Logging, Inc., according to a news release from the Shoshone County Sheriff’s Office. The incident occurred in the Micah Meadows area, near Calder, when, according to witnesses, the ground beneath a processor Johnston was operating gave way, sending the machine about 450 feet down a hillside. Johnston was ejected from the machine.